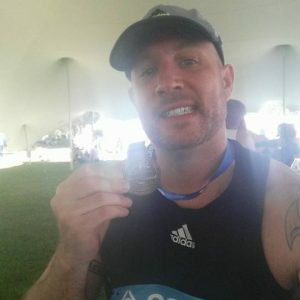 In 2016 I decided to run my first (and last) full marathon. I thought why not make it extra special and run it somewhere beautiful. I chose the Sanlam Cape Town Marathon. I like to walk and explore and tried to conserve my energy prior to the marathon, and was suffering big time afterwards. 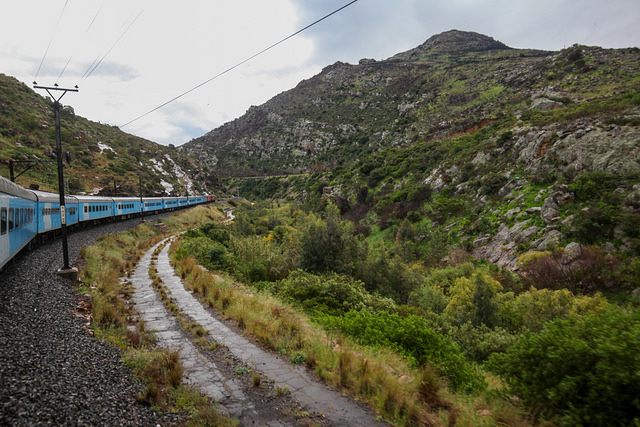 1: I flew into Johannesburg and took a first class sleeper train into Cape Town. The journey was 25 hours. There wasn’t much too see the afternoon we departed, but I woke up the next morning to beautiful views like this. Totally worth it. 3: At about 1000m tall, Table Mountain is no Kilimanjaro to climb. If you prefer, there is a cable car that will take you to the top. Either way, spectacular views off Cape Town await you. 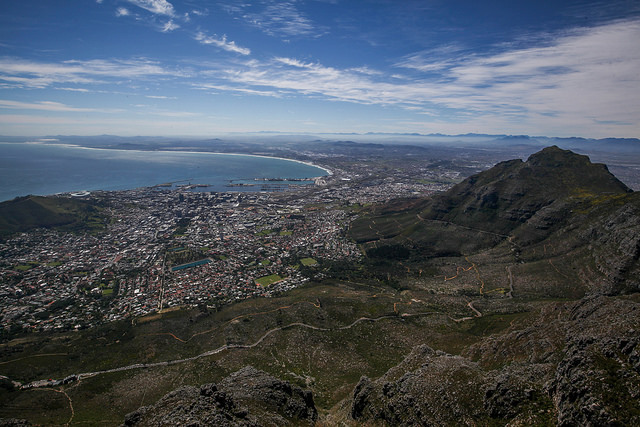 3: At about 1000m tall, Table Mountain is no Kilimanjaro to climb. If you prefer, there is a cable car that will take you to the top. 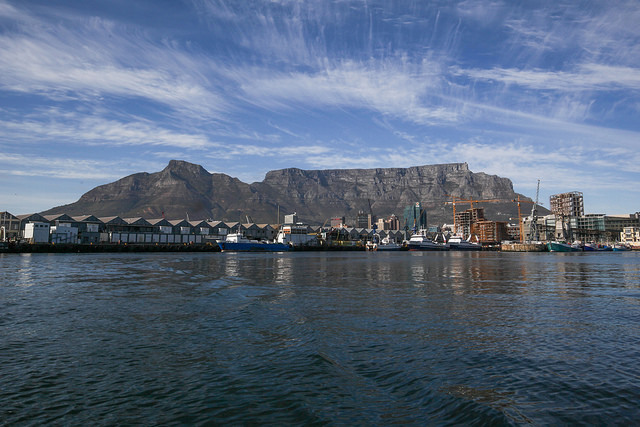 Either way, spectacular views of Cape Town await you. 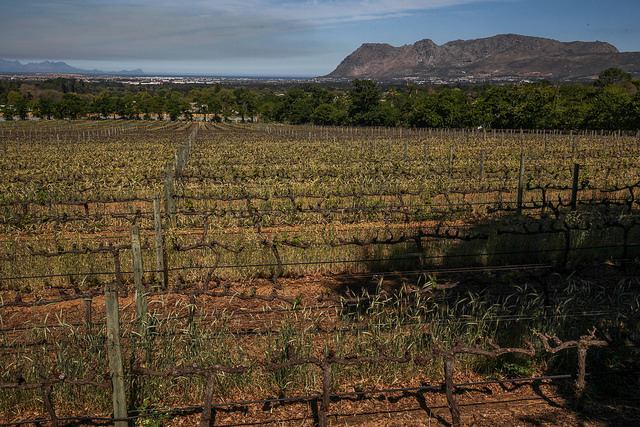 4: If you love wine, Groot Constantia was founded in 1685 and is the oldest producing winery in South Africa. It has beautiful scenery and the wine is excellent too. 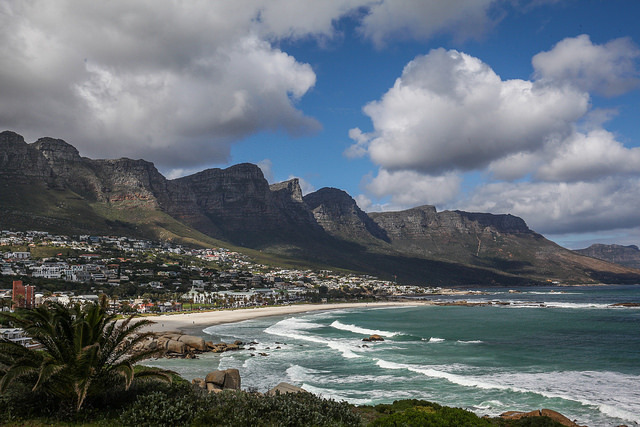 5: Cape Town has many beautiful beaches to enjoy. Some are more well trafficked than others. 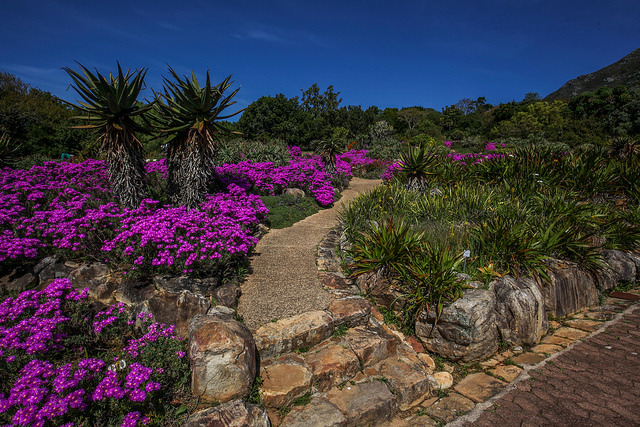 6: Kirstenbosch Botanical Gardens focuses on preserving indigenous plants and is a great place to wander around. 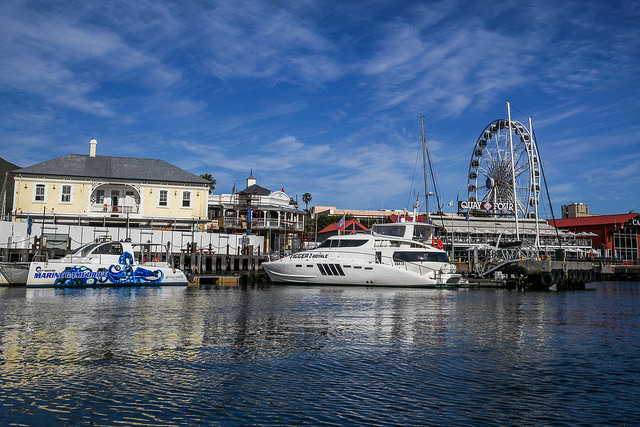 7: The V&A Waterfront is a great place to grab a bite or go do some shopping. 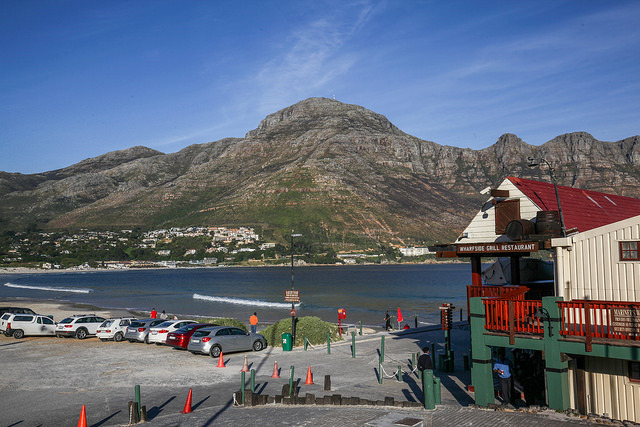 8: Hout Bay is a working fishing village and the harbor is an awesome spot to eat some seafood. 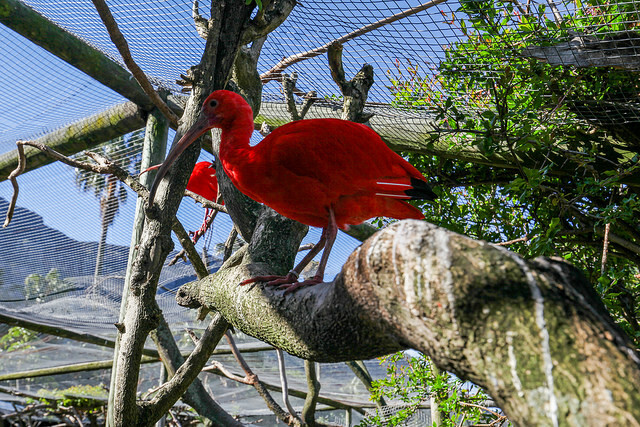 9: Near Hout Bay is the World of Birds wildlife sanctuary, with many beautiful birds like this scarlet ibis. 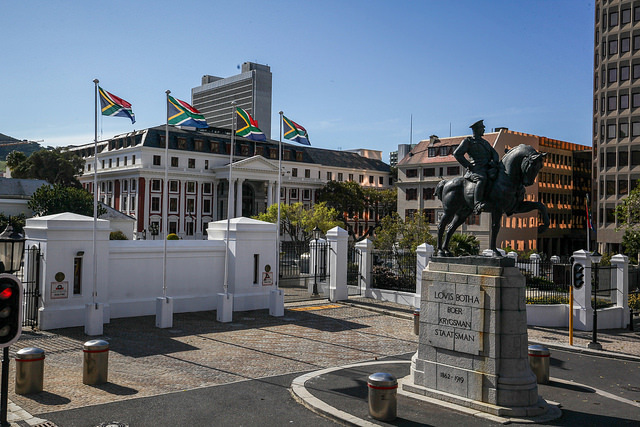 10: The Houses of Parliament for South Africa are located in Cape Town. They are pictured here with the Louis Botha Statue in the foreground. Louis Botha was the first prime minister of South Africa. Bonus: I finished the marathon and it ONLY took 5 hours!